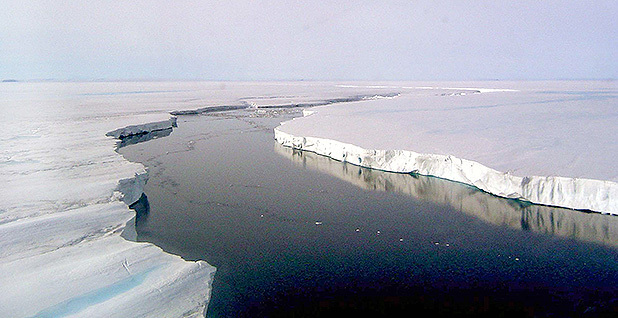 The massive iceberg holds twice as much water used in the United States every year, according to calculations by Peter Gleick of the Pacific Institute. It weighs about 1.1 trillion tons and measures 2,200 square miles. Its volume is twice that of Lake Erie. 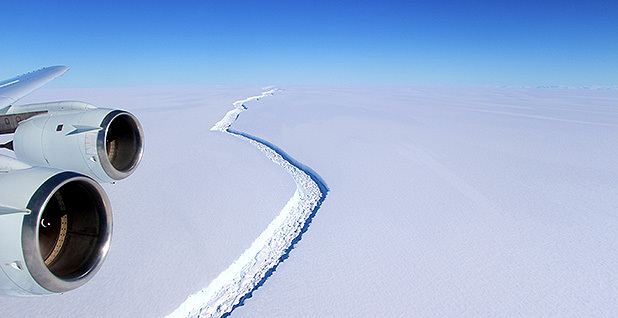 "The iceberg is one of the largest recorded, and its future progress is difficult to predict," said Adrian Luckman of Wales' Swansea University, who led a project tracking the crack since 2015. "It may remain in one piece but is more likely to break into fragments. 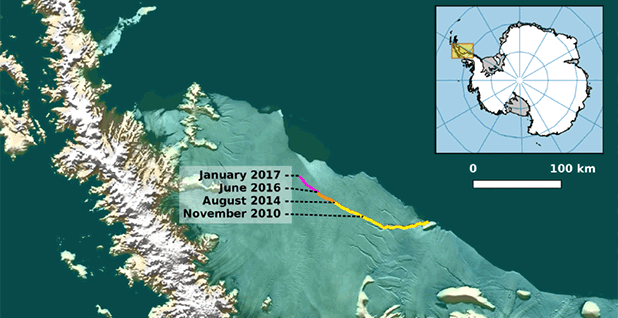 Some of the ice may remain in the area for decades, while parts of the iceberg may drift north into warmer waters." 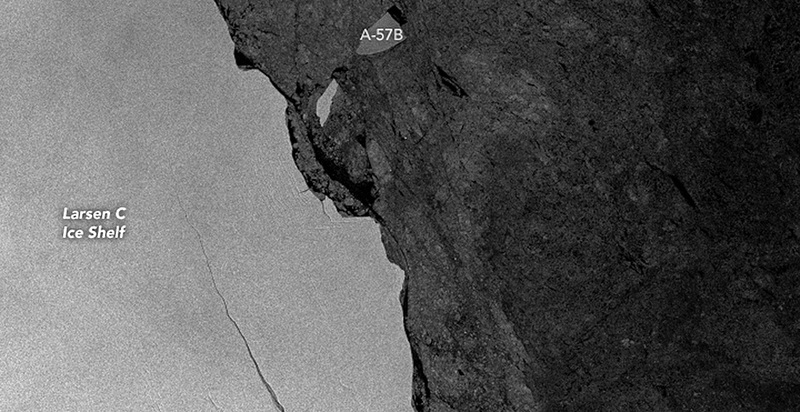 Researchers caution that the formation of the Larsen C iceberg does not mean Antarctica is breaking apart, but they also say climate change should not be ruled out. Warmer ocean waters are eating away at the base of the shelf, according to McGrath of Colorado State University. He said the Antarctic Peninsula is the most rapidly warming region on the continent, and he described the calving as both "natural and concerning." "We don't know either way, we just know calving is a natural process, but that this is going to put the shelf into its most retreated form that we've observed," he said. 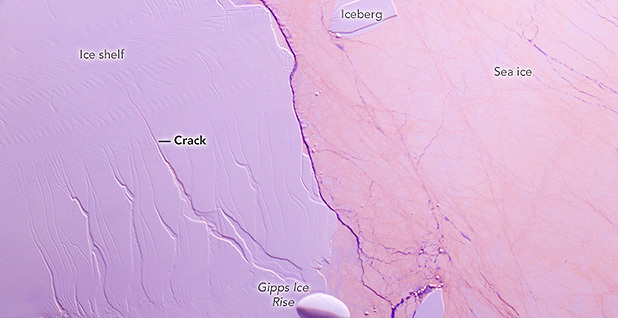 "This is certainly not Antarctica falling apart." "We're concerned about what happens next, but I would not tie this single event to climate change," he said.